Maretron’s Alternating Current Monitor (ACM100) provides information about the AC electrical system including voltage, current, frequency, and power. 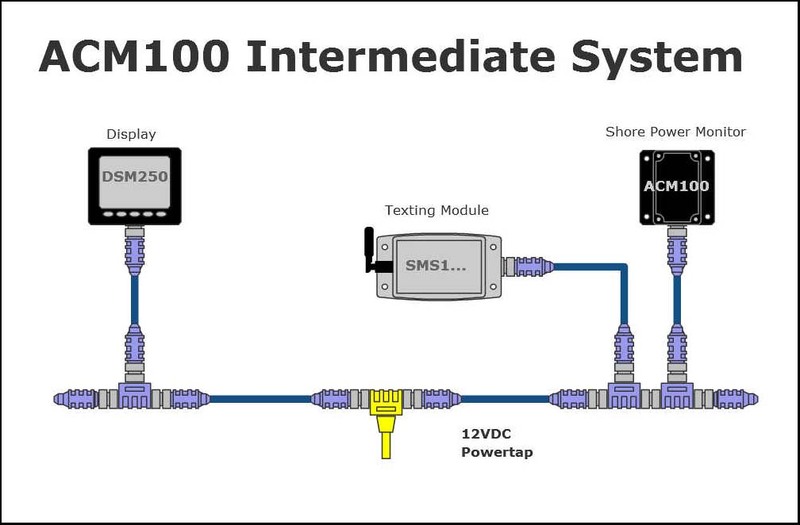 This intermediate system, which ships with one current transformer, is used to monitor a single phase shore power connection (or any other AC source – generator, invertor, etc. ), and if for any reason the boat becomes disconnected from the shore power, then a text message is sent to notify someone of the condition.